You’re in luck! This is a simple video about repotting orchids! No really, it’s not in the style of Georgia O’Keeffe and there isn’t even a single innuendo in here. Good news! Chinese New Year is coming and that means spring is just around the corner!!! And there will be orchids–lots and lots of orchids! As you know, it’s been a cold hard winter and 2017 was kind of the pits for most of us it seems (see: Facebook’s year in review reactions). Comparatively, the past year has been dire emotionally with #metoo and a barrage of men being called out for deplorable behaviour. I’m usually the first one to jump on the feminist bandwagon–ROAR! (see: Sexism, Objectification & Dealing with Assholes. )–however today I’d like to help you forget about the negativity and garbage in the world by besieging you with images of beautiful orchids. Long sigh. With the coming spring, new hope will arise and things will be born anew. For a brief moment the air will be fresh, clean, clear, and wondrous things will take life and start their regrowth all around us. And my orchids will re-bloom! Here to help this miraculous time along is a goofy video by yours truly. Some of my own personal DIY/how to tips on repotting orchids. Most of all, it’s easier than you think. 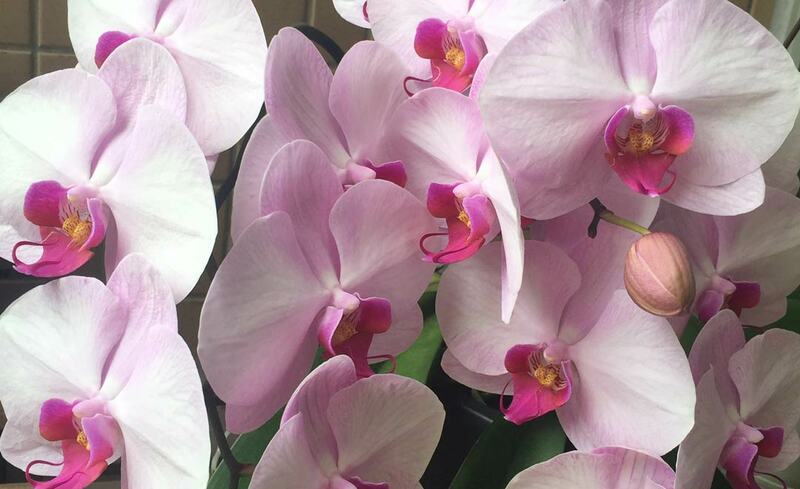 Orchids are the best if you don’t really have a green thumb because, like a cat, they prefer to be left alone. Sure they look fancy & high maintenance, but they’ll most likely prove to be the least complicated relationship you’ll ever have. Here’s wishing you delightful dreams of spring tonight! I meant to add this when I originally posted, oopsies! I watched this link last week and also find it helpful–I’m always learning new things as I go. She suggested a mixture of mulch, sphagnum moss, & perlite which I think I’ll likely try next time I’m repotting.